This time we had changed the venue and day of the meet.The meeting was conducted at a garden in lane 5 in Koregaon Park on Saturday. 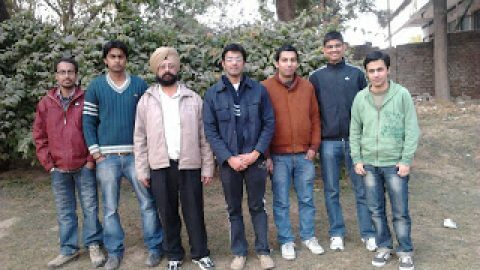 There were total 8 members: Rahil,Vivek,Virendra,Mitul,Amol,Akhil,Ragvendra,Ravi. We started with one of the common interview question: “Tell me about yourself?” This question helped to see how we speak in real life scenario as we also have recorded where individual is supposed to review it. In which we sat in circle where each member will ask a question and after completion of question the member will also tell who will answer this question. Then the member who is going to answer has to wait for few seconds and thinking that they are eating peanuts and after gulping it properly they have to answer. It was a very interesting activity. Some members were very eager to answer that they were forgetting the peanut part and directly answer. After that we played a game of BUM. In this every member was given a topic and the member has to speak for 2 minutes about the topic. The last activity which we did was similar to which we had done in phoenix mall during comm workshop. In which everyone got a chance to go ahead and talk about TISA and himself. Few non PWS were listening to us very carefully. For next week, the SHG meeting will be lead by Vivek and Raghvendra Rao. They will make call to all Pune PWS by using all the techniques learnt during workshop. At the same time they will decide what techniques they want to cover during next week. Acceptance of StammeringAha ! Feedback time..
Great guys- keep the momentum going..and get out in great outdoors..! !